Oregon’s 2013 line class will be something the likes we have never seen before. 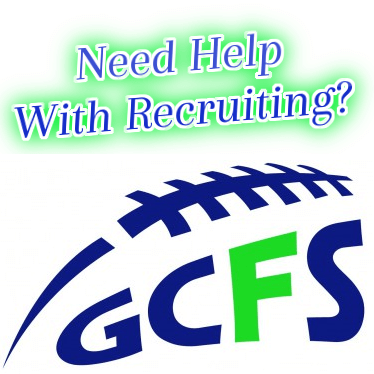 We have 10 legit D1 prospects at some level with half of them already receiving offers. They average 6-5 280 across the board, and will be a major reason that you will see plenty of scouts in the stands during the 2012 season. Without the big boys up front nothing works so this tells me we are going to have an exciting season to look forward to. We will have some of the best line coaches in the region working our NEI/Barton Tour Combine dates, and we look forward to seeing the Oregon Boys battle all the other athletes from the Northwest. Good luck to these big men as we will be reporting on all of them individually as the year progresses. Evan Voeller 6-5 285 OL West Linn- (OFFERS- Washington, Purdue, UCLA) .. Currently NEI’s #2 ranked overall recruit in Oregon’s 2013 class behind Thomas Tyner. All League last 2 years, 1st team 2011′.. Has had a couple dominant camp performances and also has lost some battles to a few of these other guys. Really good kid that moves incredibly well for a big man. Voeller blossomed early and has natural size that is needed to play at the highest level. Max Rich 6-7 1/2 285 OL Jesuit … BIG time schools have been inquiring about this kid as of late. He has as as much potential as any lineman on the West Coast. Outstanding basketball player that moves extremely well for a kid almost 6-8. 2nd team all league with Kirkland in 2011 which speaks to the talent of the league. 1st team all state NEI. Rich can write his own ticket if he can post up at 6-8 310 and keep his QB’s blindside protected at the next level. Army All American Combine Nominee. Andrew Kirkland 6-5 290 OL Jesuit- (OFFERS- Portland St).. One of the most talented big men in the Western region. Will have multiple Pac 12 offers before all is said and done. His testing is outstanding and he’s still growing into his body. 2nd team all league 2011, 1st team all state NEI. Army All American Combine Nominee. Bryson Sullivan 6-5 250 TE/DE Aloha- Currently Oregon’s #1 ranked Tight End and D End..Unbelievable talent that was hurt half of his junior season,. Showed how dominant he could be on multiple occasions. Made 23 total tackles against Thurston in their playoff loss and was an all league athlete the last two seasons on both sides of the ball. Went 6 weeks at (7 on 7’s) at Oregon St and dropped only one football. Outstanding hands and agility for a big man after the catch..Projects as a D1 Pac 12 or Mid major kid. Also a talented basketball player that has been dealing with injuries. Army All American Combine Nominee..
Matt Sommer 6-5 290 DL West Salem- 2nd Team all league kid for the last two seasons. Looks like the kind of guy you want on your side. Will be considered the Central Valley’s Top lineman next season and possesses D1 size and ability. Very athletic for a big man (Basketball). Multiple Pac 12 schools are interested. Bryon Bodon 6-4 270 OL/DL Crescent Valley- All League as a sophomore, also MVP’d relevant combine. Big physical kid that looks the part and possesses athleticism and overwhelming strength. Injured most of junior season and may be Oregon’s come back player of the year in 2012. He is big and nasty on the field and will move you if you are in his way. Dominic Baldocchi 6-3 265 OL/.DL Jesuit- Very talented kid that has started since his sophomore season. All league as a junior, and will be teaming with Kirkland and Rich to form one of the top line trios in the country. AJ Glass should be loving life running behind theses three.